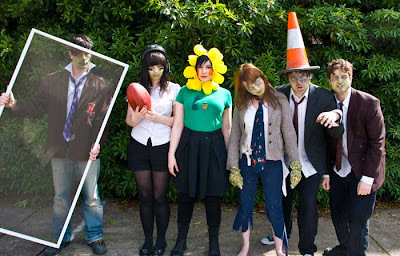 nik's blog: Plants Vs Zombies Madness! 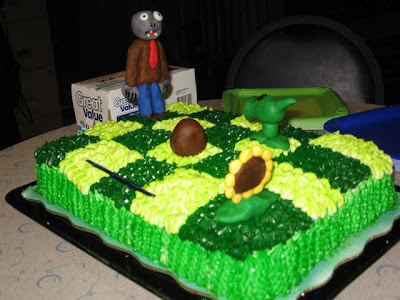 Haha, here is a cake that is designed after Plants Vs Zombies. This should be Chuchi's cake - saying "I Ate Your Brains"
Another ridiculous photo - This time of Plants Vs Zombies Halloween costume. Can you spot which character is which? 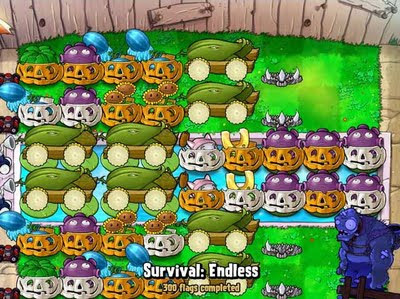 Ahhh and now talking of ridiculousness, here's proof that Endless in Plants vs Zombies is truly an endless game. 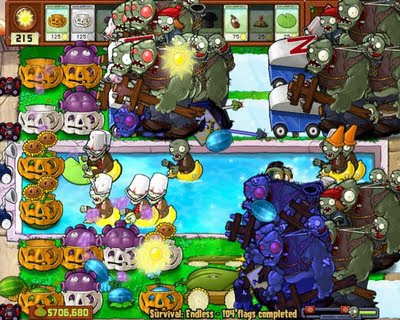 This player has 104 flags completed in Survival Endless, can you spot how many Gigantor zombies (and with variation red eyes) and bucket heads are there. My God! If you thought 104 flags was crazy check out 300 flags screenshot by a player. Check out this guys' defense.